Gary and I are infinitely proud of of his daughter, Corinne Cogill Bizzle, of Corinne Bizzle Art, and her inspired the artistic creations. 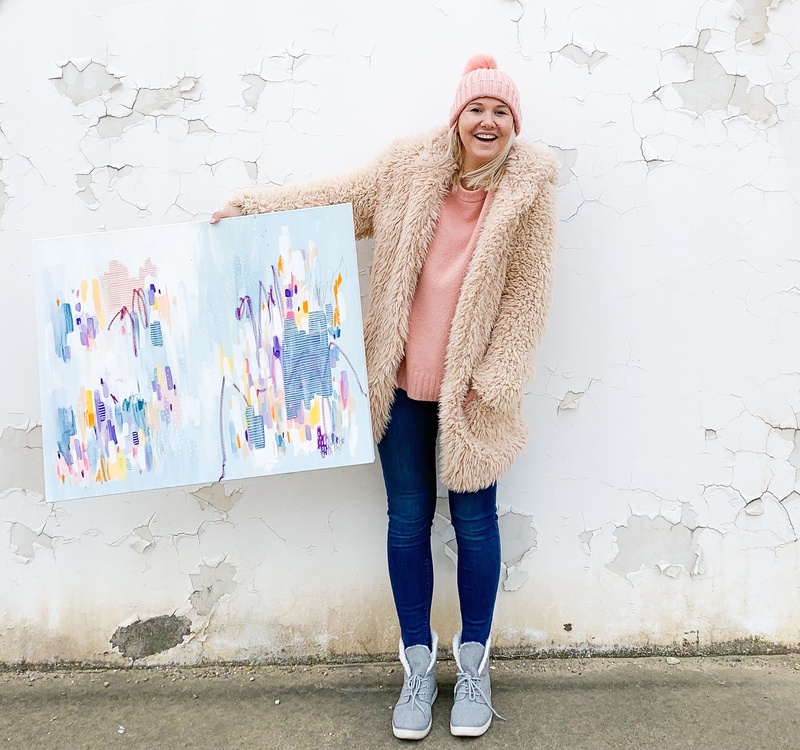 This talented cutie is quickly becoming one of Dallas’ hottest artists, expressing her vision on paper, canvas, wood blocks, stairwells and underpasses. 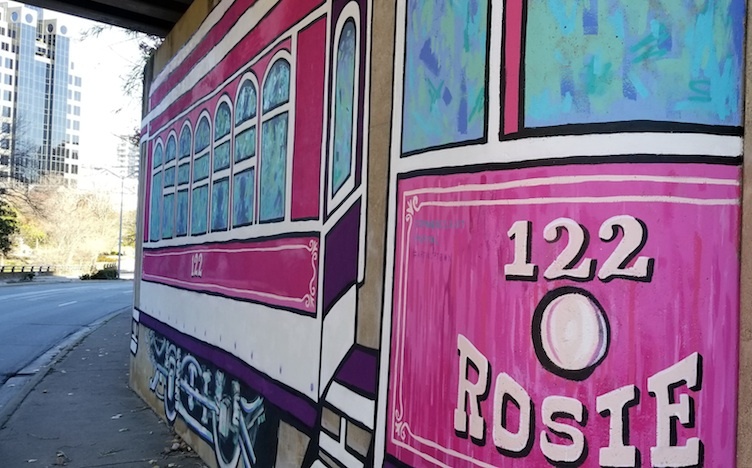 That’s right, late last year she partnered with another one of Dallas’ top up and coming artists, Mariel Pohlman, to create a duo of murals that welcome drivers heading in to Uptown, Dallas, down Turtle Creek to Cedar Springs, with the titles #MeetMeInUptown and #Rosie. Now, this amazing girl is in the running to have one of her pieces featured on the label of every bottle of 2019 Georges Duboeuf Beaujolais Nouveau. She is one of a very narrow list of artists who are being considered. But, she needs your help to take it a step further. Follow the link (here) to the contest page before April 1 and leave a comment noting that Corinne’s beautiful work, titled “Let’s Celebrate” should be this year’s winner. You can also share her entry page via your social media to vote for her work. 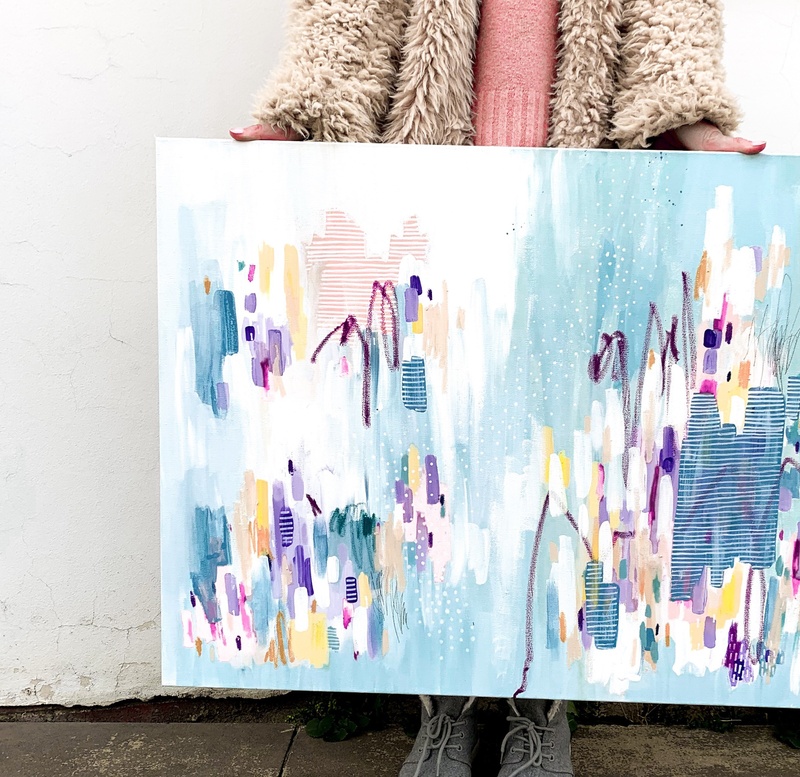 Just one more way this driven, passionate, dedicated girl is thriving by telling her story through her art. Bravo Corinne, we raise our glass to you! A perfect display of a wine makers talent and the talent of an artist !